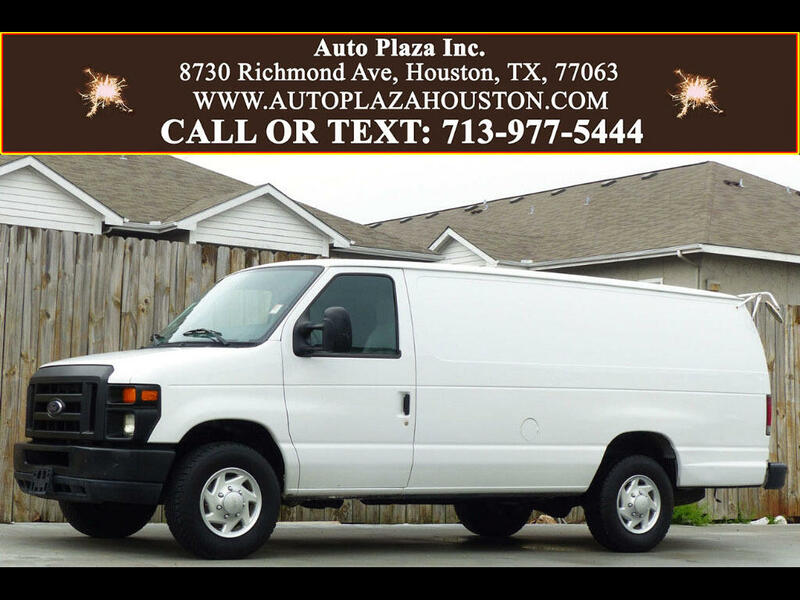 Used 2011 Ford Econoline E-350 Super Duty Extended for Sale in HOUSTON TX 77063 Auto Plaza, Inc.
You are looking at this Hard to Find 2011 Ford Econoline E350 Equipped with an Automatic Transmission. This Cargo Van Is Perfect For Business And Is the Hard to Find Long Wheelbase Edition!!! This Econoline E350 Comes With Front and Rear AC! !, High Security Locks for Cargo Area, Partition Wall, Backup Buzzer, High Mounted Reverse Mirror, Equipment Package 760A, Full Floor/ Side Top Covering, Swing Open Side Door, Power Steering, Tilt Steering, Stereo, Dual Front Air Bags, Air Conditioning, 4 Wheel Disc Brakes, Inside Rear View Mirror, Rear Axle Ratio = 3.73, High Mounted Stop Lamp, and Intermittent Windshield Wipers! This E350 has a theft recon title and really is the Perfect way to get a Business going or even just add another vehicle to the line up!!! So, What Are you Waiting for? Call NOW Before This Van Gets Snapped Up!! !